At TAPS, our eclectic, award-winning menu blends together the flavors of France, Asia and New Orleans in a celebration of fresh seafood, steaks and thick chops. 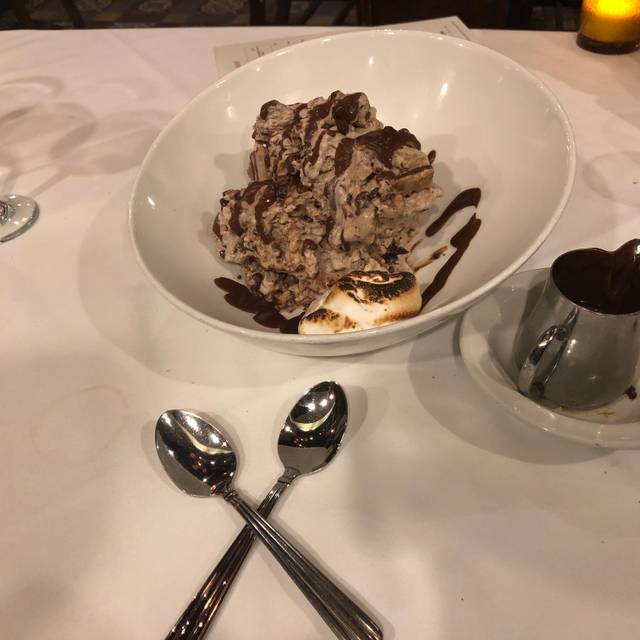 Our decadent desserts prepared on premise by our Executive Chef Ryan Robertson are a perfect way to conclude your evening. TAPS offers a charcuterie bar, an incredible lounge,big screen TV's, fireplace, banquet seating for 20-125 people and a cigar friendly heated patio. Enjoy Brewmaster's award-winning handcrafted ales and lagers, or enjoy our wine list honored by Wine Spectator. 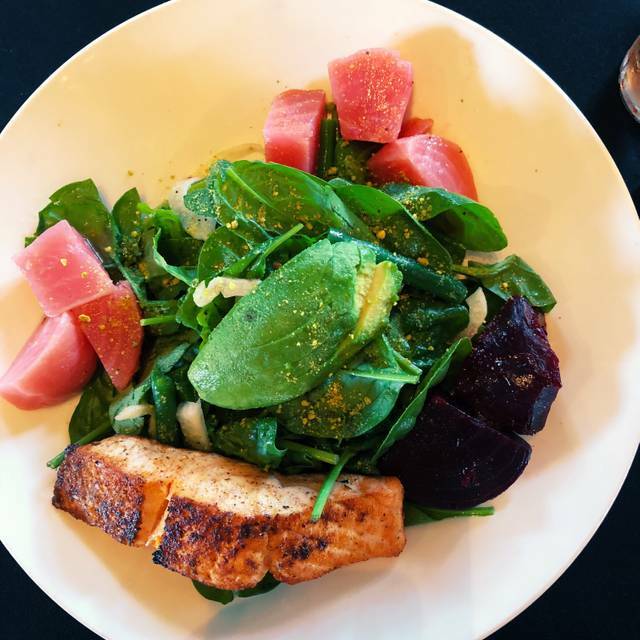 Whether you’re joining us for our incredible Sunday Brunch, popular happy hour, or a wonderful lunch or dinner we are sure you will agree that TAPS FISH HOUSE & BREWERY is on the cutting edge of dining. 5 stars (hands down) for the TAPS burger. The burgers are so filling, juicy, good taste, and for a not-so-burger person like me, I could gobble it up by myself. However, the restaurant offers other dishes, and this is where the stars decrease... sadly. I had the yellowtail hamachi appetizer, lobster bisque, house salad, shrimp scampi, salmon, garlic mashed potatoes, and chocolate bread pudding. Food is SALTY! Beware. The lobster bisque was salty. The salmon was salty. The brussels sprouts were extremely salty. Why is everything have to be so salty?! I wanted to complain to the chef to stop making his dishes so salty. The hamachi appetizer is quite oily and the fish isn't completely raw, but slightly cooked. The shrimp scampi was alright, but if you're not into creamy dishes, I would stay away because there's a lot of cream in this dish. I had so much left over that I needed several slices of bread to clean the plate. I think the portion between the noodles and the cream is a bit disproportionate. The garlic mashed potatoes were alright. It wasn't too garlicky, but it was quite a lot! Portion was about 2 heaping scoops of mashed potatoes. For dessert we had chocolate bread pudding with ice cream. Chocolate bread pudding was a bit overly sweet for my taste. I wish it was more "bread budding", but the chocolate was quite overpowering. We had a great evening. Loved the round tables instead of square for a group of six. Service was slow, but maybe that's because they were short-staffed for a Sunday night and had at least 2 larger groups. We enjoyed the menu option with the voice of 3 items plus discount on bottle of wine. I enjoyed the salmon; however, it was extremely spicy and there was no indication on the menu that it was a spicy item. Overall, the food was very good as was the quality of service, if not the speed. 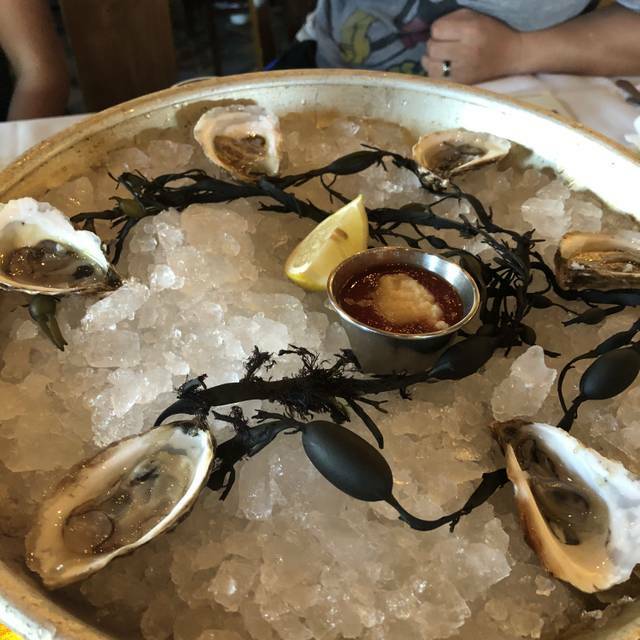 We happened onto TAPS Fish House & Brewery while we were staying overnight in Anaheim during a road trip. Lucky us! The food was very good, nicely prepared and the three-course menu was a great deal. The chocolate bread pudding was worth it! It was a great meal after a long day of not eating much "real" food and the atmosphere was casual but upscale. All around a great place, would definitely recommend TAPS. Just a little too noisy for our group meeting. Would be nice to have a quieter area for our dinner meeting so that we can hear each other talk. But, that's not your fault. Next time we'll specifically ask for a quieter section, but service was very excellent and accommodating for separate checks. The Poke Don is a little overdressed so you can tame that down a little. The Tacos and Spinach Dip was awesome...definitely order that again. Wish you offered pitchers of beer, but that's OK. Keep it classy! The food was beyond amazing! So many different things to choose from! 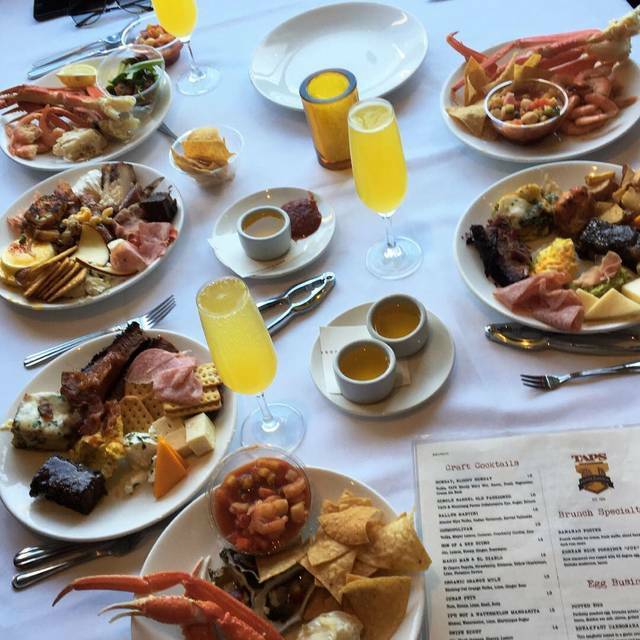 The highlight for me of course were the crab legs, the dessert station and bottomless mimosas :) Service and atmosphere were great as well!! Make sure to make reservations! 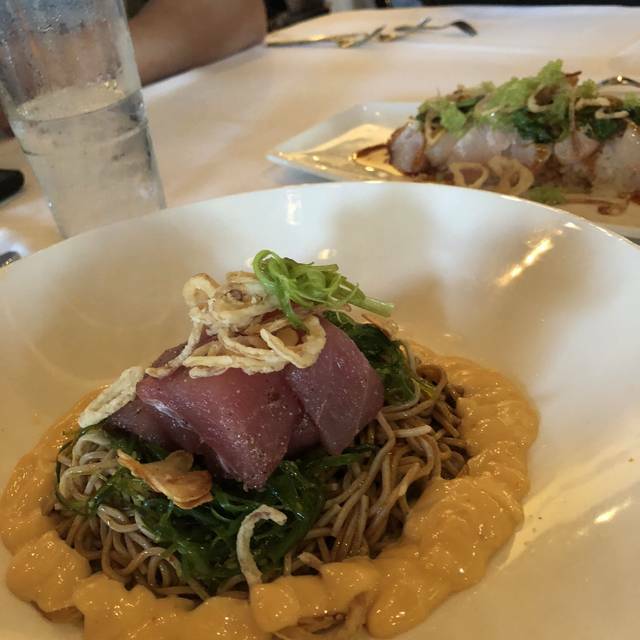 Fantastic food and exceptional service! Great for lunch, happy, hour, dinner, or brunch. I love this place!! Waiter did not pay attention to us and would leave for extended periods. I asked for my food to be placed in to go containers but he forgot. Overall the waiter was a very poor server and inattentive. We came to TAPS to celebrate our anniversary. 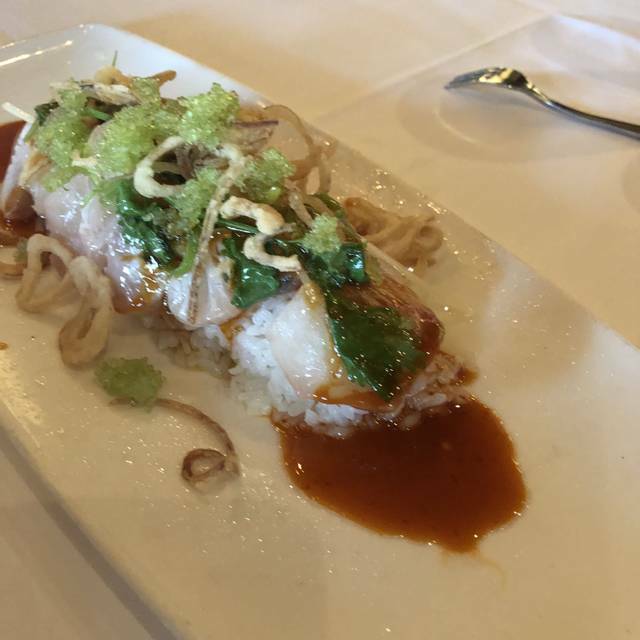 I have the macadamia nut encrusted rockfish which was slightly salty for my taste, but otherwise very good. I went to salad I had lots of fresh blue cheese, and was delicious. I has been have the devil cat 16 ounce pork chop, which was amazing. It was to see and tasty and cooked to perfection. We enjoyed our dinner very much. great place, good food, good service. We wished the food was better. Left something to be desired. The service was great, our server Jason was very attentive and helpful. We thought his serving was really what put the dinner experience above and beyond a mediocre dinner. Great service food was very good. The food was great and the service was superb. The folks over there are so attentive. My friend and I were there to celebrate her birthday and she loved it and had a wonderful time. Service really slow. Yes it was Saturday night at 7 pm but why does that catch a good restaurant by surprise? Great sizzling hamachi! Oysters excellent. Poke was just ok. A cpl pieces were stringy. Overall a great place for large groups. The staff was great. The chef was amazing at accommodating to my son’s food allergy. So impressed. Staff was amazing. We celebrated my sons birthday, and they pulled out all the stops. 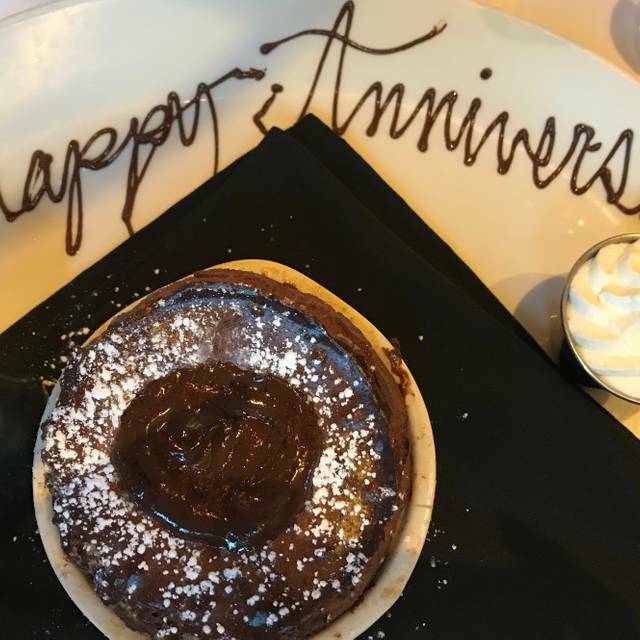 From a complimentary appetizer, to a hand written message in chocolate for the desert. Management even came and introduced themselves which made it feel like a true VIP experience. Have been to Taps on many occasions and every one has been outstanding Thank you to all for a great time. Great venue for a business lunch. Food and service were spot on and no distractions in the dining room so that the conversation could flow. Extremely good service -- GREAT servers, staff, etc. While the food was good, it was not as tasty as we had hoped for, just seemed to be missing a little bit of "this or that" which in my case with the Short Rib could have benefited from salt, bay leaves, garlic. 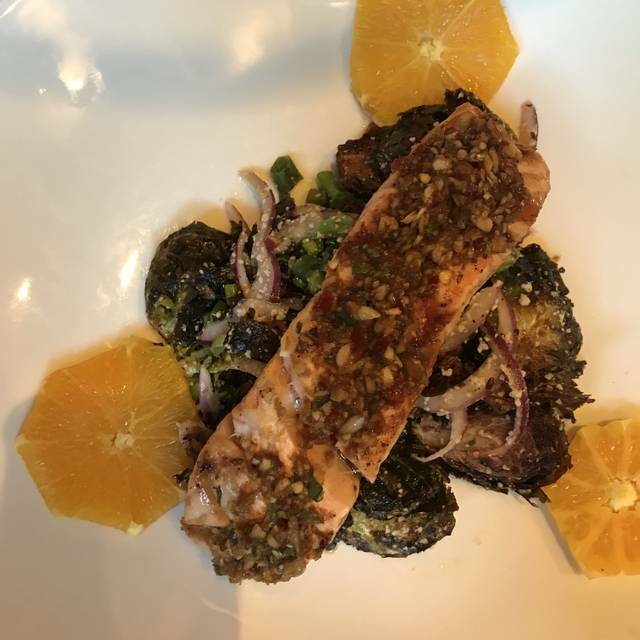 My husband's balsamic vinegar glazed salmon was a bit overcooked, which spoils the fish by leaving it too dry, but the bread, salads, dessert was phenomenal, truly. We came for our 25th Wedding Anniversary celebration and enjoyed our evening. Everything we ordered was perfectly seasoned and cooked to perfection. Host/hostess and server were very personable with a fine attention to detail. Excellant experience we will definately come back! Overall food was not worth the price. Filet mignon was delicious, but everything else was ok.
Professional service, very friendly and wonderful wine service. The GM made our wine experience special. The menu and it’s options were great I’ll be back soon. The ceasar salad was not as fresh as expected. 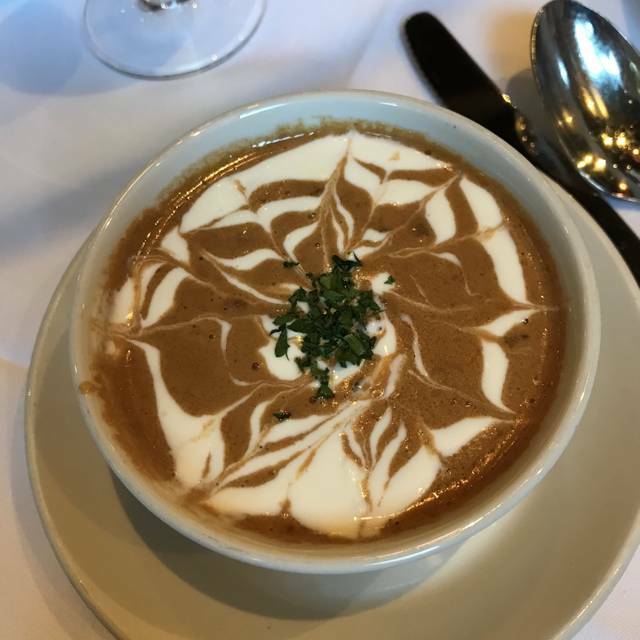 The French onion soup was the same. The bread in the soup was burnt. Not much cheese as expected. We were really hungry and the kitchen was slow. Not sure why as there weren't that many people there. Steaks were excellent. Unfortunately the "halibut special" was NOT halibut, and I know my fish...it was over done, dry, and not even close to what would actually be halibut...obviously miscommunication between waiter and chef. My best guess is it was a rock or cod, not the firm halibut one would expect, also very fishy odor. We did not complain as we were crunched for time for our evening at the IMAX. Not sure I will come again....although bar staff was excellent, as were the craft beers. Service could be better. Our server forgot to put in our appetizers so they came at the same time as our entrees. They simply apologized, but it ruined our experience since we had to rush through our appetizers so our entrees wouldn't get cold. service was great. Loved being able to listen to music. Band was great. We stayed until they finished playing. Hope they will have the music on Saturday night. We ordered aged steaks for 3 people for lunch, were so dried (even rare/medium rare), waste $$. Also, ordered a chiliean Sea Bass, was so fish smell, had to return, they brought a new one which was good. Bread was delicious, but most of food were so salty, not sure, chef was having some issues with food tasting. I will give another shot for another time due to atmosphere but, wouldn't recommend for foods. Wonderful food and even more wonderful staff! Our waitress Ana was very pleasant. Even two chefs came to our table to chat with us(one I regret now didn’t catch his name) and Chef Ryan! Since I’ve been to other TAPS locations, I am familiar with the menu. Therefore, I requested a dessert that I love, but found out that it is unfortunately no longer on the menu. And guess what? They still made it for me!! This location is far for me but I will definitely be back!! Love TAPS!! Thanks everyone for an awesome experience!! The food was good, but the service outstanding!! My college roommate and I get together every year for our birthdays, so this year to celebrate one of our birthdays, we went to Taps. The best part - the creative drinks of the mixologist, Matt. He was extremely attentive and the drinks he created were delicious! The service was exceptional and we ordered the ribeye with a colossal lobster tail and both were cooked to perfection. I visited Taps in Irvine. They knew we were there for a birthday and sat us in one of the nice cozy booths. Our server was awesome. He was very knowledgeable about the dishes and perfectly attentative throughout with us. Even the kitchen server bringing out the food was friendly and interacted with us. Food was wonderful. I went for the pre-fixe meal, and we also ordered the Chilean sea bass and Salmon dinners. Beer choices were excellent and it was fun choosing with our servers help. For dinner, it's a special occasion place for my budget, but they also had an interesting happy hour menu that I'd love to return for. Much better than other locations. Great value with the Taste More menu. Have been there a couple times for girls night out dinners. Always enjoyable. The service is good, the food is good. Would recommend to anyone. Will go back with family. Didn’t have the opportunity to order cocktails so can’t comment on that. Will definitely return to try other menu items and cocktails..
We went to TAPS Irvine for the first time for my 60th birthday, and loved the food, beer, and service. We will definitely return! We enjoyed a delicious and well-prepared meal with a Birthday dessert treat. Taps’ menus and offerings are creative and this night we loved our lobster dumpling appetizer accompanied by mahi in lobster sauce. The flavors were intense and memorable. Thank you! Delicious, flavorful, accommodating for special foods needs, a lovely date night favorite! Don't waste ur time on a date or a meal expectation here. It w/b much better u go elsewhere ( LosAl FishCo., Kings, Ovami, Roys, California, Malibu, McKorm&smux, - But NOT Seafood Broiler) & save urslf trubble & disappointment on f&b there. U walk in to eclectic glamour & glitz but ungracious, inhospitable, unwelcum vibes c/o greet nor warmth met frm start. (Even with reservations (2) for 1stimer) All fluff but no substance at this stokey & inconsiderate dinery. Horrendous, akwardly manipulative, ultra-conspikuis shadowy figure manager rins place for ur $$$ & less priority to ur comfort. Bradie could supervise his floor & kitchen staff much better to make a pleasurable dining experience for his guests. But hez BZ chitchat nd corner crevices sittin with workin gala. He s/b paying more attention to pleasing customers at hand insted of scoffing them off. I noted patio event many empty handheld glasses & buffet chaffers as I stepped briefly around nice outdoor perimeter. My inept, lame & coarse waiter was unknowledgable about menu. Gregg denied me happy hour unless I marched to bar & carried my own drink back. He didn't even help explain beers on tap & bottles for my faves types. Kitchen order sent was lousy whitefish & flimsy slushslaw. No bread & butter. This overrated fishytavern is bottom barrel vd totembowl! Overall, this is a nice restaurant with reliably good food. On this visit, we were disappointed by the slow service (the restaurant wasn't that crowded at 6PM on Tuesday; we didn't get finished until after 8PM). An additional gripe is that the food is delivered to your table by whoever is available to deliver it. I understand this may get food to the table quicker, but it's annoying not to see your server very often and every table visit is accompanied by "who ordered this?" questions. A fine dining establishment should know what dishes were ordered by which person's seating position without the diners having to give directions.